Two years ago, I was OBSESSED with Instagram. Still am. I take it way more serious now than I did in 2015 — I was all about being cute and just posting the typical college pictures that everyone posts. There were party pictures and game day photos, silly faces… you know things that capture the college kid. Now, it’s different. Now, I’m all about my theme and aesthetic. Filters can really make or break your pictures. They can be too light or too dark, maybe overly sharpened or structured — things you want to avoid. You want a theme that is cohesive to some point; you don’t want just to throw something up and it doesn’t mesh well with everything else unless you’re starting a new theme. I might be wrong, and it looks good, don’t quote me on that. You want your pictures to stand out and look great, right? You want your aesthetic to have some meaning. You want pictures that will appeal to brands if you’re trying to get brand sponsorships or be a part of campaigns. Your pictures are key. Your pictures are going to make or break your Instagram is that’s your main platform. Your pictures speak thousands of words and give a visual to your blog posts. Pictures are important, got it? You need apps that are going to help you prosper and sell your vibe. The one thing I can count on when I take pictures if my photo editing apps. I take my pictures on my phone for the most part with lightening equipment, and I utilize all the apps on my phone to make my pictures almost picture perfect. Don’t shrug off the idea of using your phone to take pictures because the cameras on these babies are pretty awesome. You just need the right apps and right angles to capture a great picture. Don’t worry — I have your back on the apps. Let’s talk about what I use because you might just like these apps and want to indulge, too. 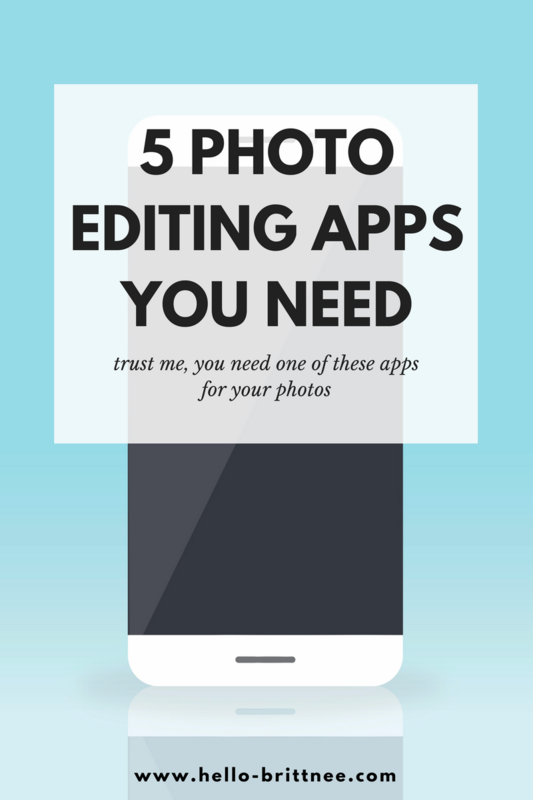 Today, I’m going to share with you all the five photo editing apps that I love and use on all my images. My absolute favorite. I had heard so much about A Color Story, but it took me forever to download this app. I can’t believe it took me forever because it’s a lifesaver. I use it on everything now. The amount of filters are endless and work well with any theme that you can think of. You can go bold and rich with color, or you can throw a fade with a natural lighting filter. If you’re thinking about it, there’s a filter for it. Of course, there are the other adjustments that allow you to edit to your liking. Plus, there’s a website with tips and tricks on how you should apply some settings! They don’t leave you hanging, that’s all I’m saying. This app is a must have. Have a flaw? This is the app that you need to get rid of those flaws. My selfies are edited with this FaceTune, and there’s no denying it on my end. You can remove cracks and patch over a leaf that has appeared in your image. There is the ability to remove a blemish and whiten your smile — I love this app, and I will admit to making my selfies perfect with this baby. Not only have I fixed my selfies, but I’ve removed cracks from the driveway and blended missing patches of paint. It’s like the beginner’s version of Lightroom on your phone. It’s not a free app, but I promise, it is worth it in the long run. Don’t pass up on this app if you don’t want to invest in Lightroom. It is totally worth the $4.99 and it’s right there on your phone for you to use and upload to the gram. Your selfies will prosper, I promise! VSCO was my number one source that I used to turn to when I started out with blogging. This photo editing app is great for scenery pictures. It captures the shadows and hones in on the object that is your focal point. Also, I love the library that you get to store your images on when you’re using the app. There are a handful of filters that come with the app, but some of the popular filters have to be purchased to be used. You do get options to adjust exposure, sharpen, saturation, and the basics that fall into that category. I like to use VSCO for pictures that I take of landscapes — the filters usually fit my theme, and they help showcase what I really want to show off in a picture. Total selfie app. Makeup 365 was introduced to me four years ago, and I haven’t looked back since it came into my life. To be honest, I usually pair this app up with FaceTune because they’re both tuning up my face. With Makeup 365, you literally get to fix your face with this app. I can’t tell you how many times I got rid of red-eye and fixed my eyes by adding eyelashes when I looked tired. It’s been a lifesaver, and I will always use the eyelash edit to give myself some thickness. You can’t go wrong with Afterlight. If you don’t want to invest in any filters and just want to get the basic, free but good filters, this is the photo editing app that you want to download. Afterlight has filters and strobe light filters. I used to utilize this app all the time to give myself a nice bronze tan. When A Color Story and VSCO don’t do it for me, Afterlight does it for me. It’s not one of those hit or miss apps — you get what you’re asking for, for the most part. At the end of the day, your apps can do a lot for you. These apps will turn you into a pro — if not, you can count on being semi-pro and having these great images that represent your brand. A filter can do a lot. 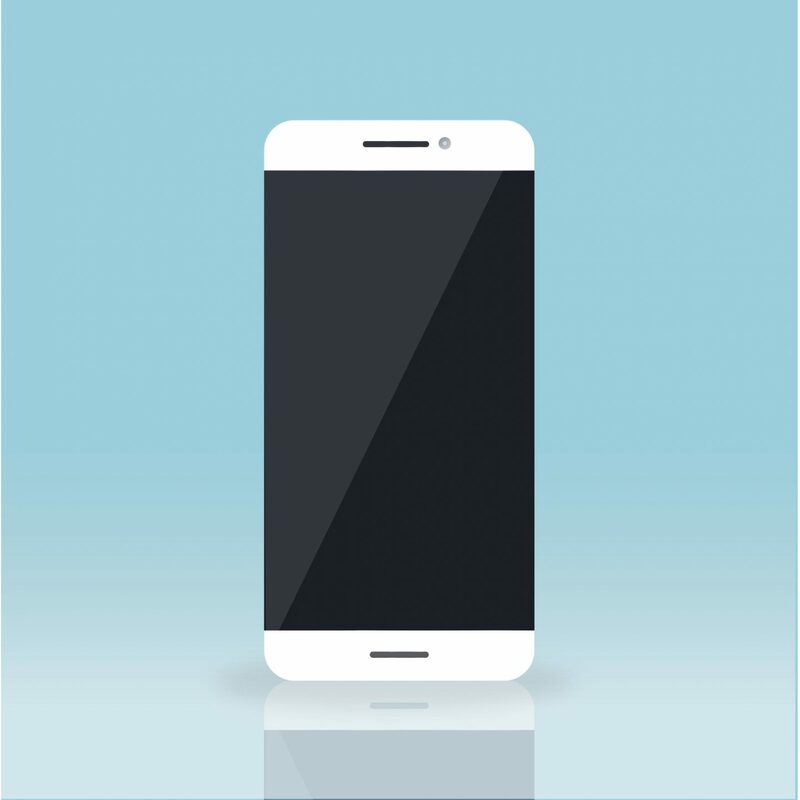 The phone apps that are at the tips of your fingers are endless. You should not pass up on the photo editing apps because they are pretty legit. Let your photos talk for your brand and ability. These are my favorite apps and I will talk and talk about them until I am blue in the face. Use these apps before you rush off to Instagram. Show off and show out! What photo editing apps are you favorite? Do you use any of the apps above? Let me know your thoughts! I LOVE A Color Story!! Definitely my favorite too! I feel ya! It definitely took some time for me to like A Color Story. I had to go to their site and look up some presets before I decided I was a fan. I have heard so many great things about facetune! I think I just have to bite the bullet and get it. Have you heard of Snapseed? I love that one too! It’s so worth it! I’ve heard of it but I never gave it a try. I’m going to have to download it asap. I need to try Makeup 365! I love InstaBeauty right now. Thanks for the list, I’ll have to give some of these a try. I’m always looking for good photo editing apps and haven’t been able to find any I just love. I’ve heard a lot of good things about A Color Story, so I’ll have to check it out. I also really like Snapseed! Thanks for sharing these apps! I need to try Snapseed, I’ve heard great things! I love A Color Story! It’s such a photoshop-like app. I personally love FaceTune the best! I typically have skin issues here and there. Although being “authentic” on social media is what we all aim to do… I am very self-conscious of this aspect and it makes me feel a bit better! It also can really make some pictures ::POP::! Same here! I totally get it. I’m self conscious about my skin issues and try to fix things up all the time. I love VSCO! I’ll have to try Makeup 365! Great list! My go-to apps are VSCO and Facetune! I also love SnapSeed and Afterlight but rarely use them now! Totally have all of these and love them! A color story and face tune for the win! they are life savers! I use snapseed on my phone and it is the best editing app I have ever used. I need to look into it — it definitely is a fav for many! Love color story so much! I also love VSCO! Both of them are my favorite! Also Facetune is great for editing things out!